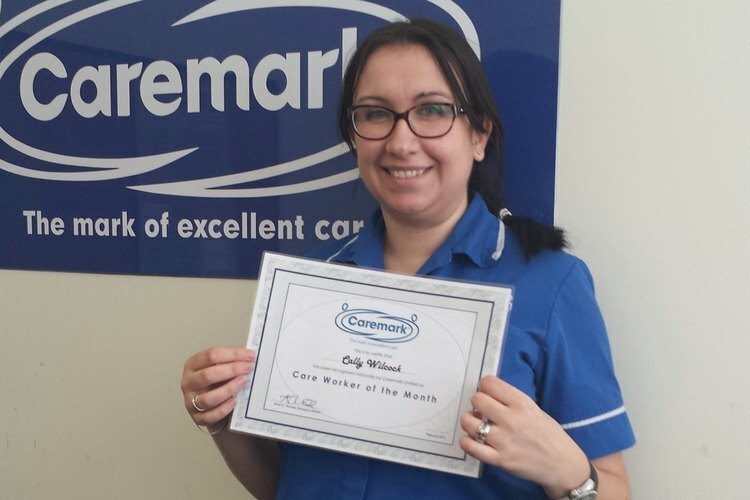 Cally started with Caremark in September 2011 and has shown herself to be a consistently reliable, professional and conscientious care worker, very rarely absent from work. Although Cally generally works alone within the Mental Health field, she is very flexible and will help out the home care team if they are short staffed for any reason and is always available to help and support other carers with any difficult situations which may arise. She has demonstrated excellent communication skills and keeps her Field Care Supervisor updated with any concerns. All information received from Cally is relevant, accurate and factual and she will call and update her Supervisor with any changes or updates timeously. Her written log entries are always completed as they should be. One of Cally's clients said: "My support worker has been brilliant. I can't thank Cally enough for her kindness, patience and understanding. She has helped me to help myself and given me an opportunity to embrace my recovery and have a life instead of an existence, which I never believed was possible - thank you so much." This particular package was taken on knowing that the Care Worker would require extreme patience, have a calming nature, not be fazed and have perseverance whilst keeping professional boundaries. From where we started to present, Cally has exceeded the Social Worker's expectations, our own and the clients. The client is now in a much better place and has a bright future ahead of her. Cally's hard work, patience and encouragement has enabled her client to achieve her goals. Cally has been a true inspiration of what Care is all about and for this client, it has changed her life for the better. Visit the Caremark (Mid Sussex & Crawley) website for more information on their home care service.